What your doctor didn’t tell you and your pharmacist didn’t have time to tell you about your medication. So, you’ve been suffering from heartburn. Every few nights, you experience a tight pain and burning sensation in your chest. You know it isn’t a heart condition; it just happens sometimes after dinner when you eat way more than you know you should and then lay down because you are too stuffed to move. It seems to be happening more and more lately and, after experiencing this several more times, you decide to talk to your doctor who promptly diagnoses you as having gastroesophageal reflux disease (GERD). He writes you a prescription for Dexilant 60mg and tells you to take one every day to help with the heartburn. You take it to the pharmacy where they apologize that the medication is not covered by your insurance and it will cost $261 for a one-month supply. They continue to tell you there is no generic available for Dexilant, but they can talk to your doctor about changing the medication. Eventually, they get in touch with the doctor who changes the prescription to Omeprazole 40mg, which is the generic for Prilosec. The pharmacist tells you to take one capsule every morning about 30 minutes before the first meal of the day to help ease your heartburn; you should start to experience some relief within the the first day or two, and it may take a few days to experience full relief. You start taking the medication as prescribed and are happily relieved when the heartburn finally goes away. The doctor gave you one refill, so a month later you get a refill and then another month later the pharmacy contacts the doctor to request more refills. Before you know it, you’ve been taking the medication for 8 months. Your heartburn has eased up and you’re feeling better. One of the most commonly prescribed groups of medications in the United States is the PPI or Proton-pump inhibitor. PPIs are most commonly used for the treatment of GERD (gastroesophageal reflux disease) aka “Heartburn” aka acid reflux and duodenal or gastric ulcers. There are six widely used prescription PPIs in the United States: Prilosec (omeprazole), Protonix (pantoprazole), Prevacid (lansoprazole), Aciphex (rabeprazole), Nexium (esomeprazole), and Dexilant (dexlansoprazole). Of those six, Dexilant is the only one that does not currently have a generic form available in the marketplace. Three of them – Prilosec, Prevacid, and Nexium – even have over the counter equivalents available for purchase without prescription. PPIs reduce the amount of acid in the stomach by inhibiting or blocking the H+/K+ ATPase enzyme which is more commonly known as a proton pump. A proton pump is responsible for pumping acid into the stomach. The stomach is, of course, supposed to be filled with acid; it is that acid that breaks down food and kills harmful bacteria in the stomach. The PPI permanently binds onto and blocks the proton pumps from working, which lowers the level of acid in the stomach and reduces the symptoms of heartburn. In order to provide a better understanding of these medications, I will examine and point out sections of the prescribing information, often called the “package insert,” which is the legal description of the drug approved by the Food and Drug Administration (FDA). This package insert is the definitive guide to any medication approved by the FDA that is available in the marketplace. Pharmacists refer to this document for information on a medication. Sections include: indications and usage, dosing and administration, dosage forms, contraindications, warnings and precautions, adverse reactions, and drug interactions. According to the package insert, a PPI is indicated for the short term (4 weeks) treatment of symptomatic GERD. For Erosive Esophagitis that has been diagnosed via endoscopy, it is indicated for short term use (4-8 weeks). Efficacy of PPIs used for longer than 8 weeks in these patients has not been established. Similarly, with Gastric and Duodenal Ulcers, PPIs are indicated for short term use (4-8 weeks). There is one indication for PPIs for long term use in pathological hypersecretory conditions (eg. Zollinger-Ellison syndrome, multiple endocrine adenomas and systemic mastocytosis) in adults. Yet, with these short term use approvals, I see patients everyday that have been taking PPIs for months and even years. If the package insert indicates only one condition for long-term use, why are these short term indications being continued for so long? The simple answer: patients find something that works to alleviate symptoms, doctors see improvement in symptoms and continue prescribing it, pharmacists see it so often they ignore it and if they do mention it the message gets ignored, and even the pharmacy computer system codes them as maintenance medications. 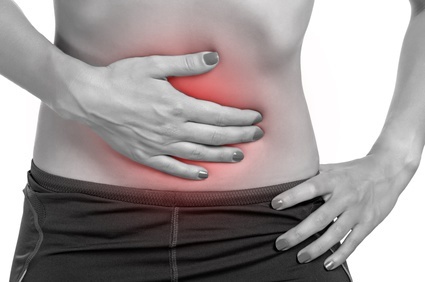 The body’s natural function is to produce acid in the stomach, so even when a patient is taking a PPI, the body continues to try to pump acid into the stomach. Trying to stop a PPI is difficult because the body has been trying to produce acid to overcome the PPI. When the PPI is stopped, the body that has been compensating for a lack of acid secretion now has more than it originally started with, making the problem worse than it may have originally been. Stopping a PPI can be challenging and must usually be achieved while using another type of acid reducing agent until the body can be weaned back to no intervention. Unfortunately, reducing the symptoms by reducing the acid also reduces the function of the acid. Use of PPIs has been associated with an increased risk of Clostridium difficile (a type of bacteria) associated diarrhea. The package insert states that patients should use the lowest dose and shortest duration of PPI therapy appropriate to the condition being treated, which, as you recall, was short term (4 to 8 weeks) in most cases. Long term PPI use is also associated with malabsorption of vitamin B-12, which can lead to symptoms of fatigue, irritability, decreased muscle function. Increased risk of bone fracture is also associated with PPI use. Hypomagnesemia, a low level of magnesium, is linked to PPI use and can lead to arrhythmias and seizures. Typically, PPI use is well tolerated, few immediate side effects present, and most patients appear to tolerate them well. The long term side effects may not be seen and when they do present, association to the PPI may be ignored. Side effects are often treated with an additional medication that has it’s own package insert and list of potential side effects. What can be done to alleviate heartburn without using a PPI? The first step is trying to determine what the cause is. Determining cause of a problem is crucial to actually fixing the problem, unfortunately this step is often overlooked and treatment is given to rectify the symptoms with less, and often little, attention on discovering the underlying cause. Keep a journal of meals and when symptoms appear. Perhaps it is when eating a late or an unusually spicy or fatty meal. Avoid lying down after eating; staying upright allows gravity to help keep the acid down. Tight fitting clothing can also increase acid reflux. If you try all of these and still experience symptoms, start with a basic antacid such as Tums (calcium carbonate). If that doesn’t work, perhaps one of the H-2 receptor blockers Pepcid (famotidine) or Zantac (ranitidine) will bring relief. For a more natural approach, try essential oils such as ginger, lavender, or peppermint. Chiropractic adjustments are another great option where patients have found relief. Chiropractors are typically thought to help with back problems and pain, which they are great for, and they can also provide additional health support. The proper alignment of the spine allows for nerve signals to be sent throughout the body correctly so that the brain and the body can talk. These nerve impulses, or lack thereof, are often responsible for a number of ailments as communication between the brain and body breaks down. A routine chiropractic adjustment can do wonders for your health. Acupuncture is another avenue to explore. Overall, PPIs are effective at reducing acid levels in the stomach and reducing the symptoms of heartburn. Although they are generally well tolerated, they do carry risks, particularly when used for long periods of time. Perhaps doctors and pharmacists need to be more aggressive at taking patients off them and using them for the intended short term time frames of 4 to 8 weeks. Ultimately, educating patients and allowing them to make educated informed decisions about their health while being guided by healthcare professionals will lead to better health outcomes. That is what your doctor didn’t tell you and what your pharmacist didn’t have time to tell you about your PPI. Next post What Does CRP and Homocysteine Tell You? Previous post What's Male Menopause?